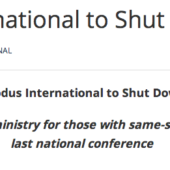 In what seems like the logical extension of the recent trend, Exodus International has decided there were not enough people interested in attending their Love Won Out conference scheduled for later this month to justify the expense. Conference attendance has been trending downward, with their last conference bringing in barely 400 people. This is down from nearly 1000 in Exodus’ headier days. In November, XGW reported on a secret meeting held by Exodus president Alan Chambers to come up with ways to rebrand the organization in the wake of social and financial collapse. Since then events have occurred which seem to validate that scenario. The cancellation of this conference, the first time we know of since either Exodus or Focus on the Family held the event, appears to provide more evidence of their decline. It is with great disappointment that we are notifying you today that the Love Won Out Conference scheduled for May 19th at Legacy Church in Albuquerque, NM has been cancelled. First, we apologize for any inconvenience this may cause you. In my seven years serving on the Exodus team, this was one of the most difficult decisions I’ve had to make. Unfortunately, due to the low number of registrations we simply were unable to justify the substantial cost of bringing the LWO Conference to the Albuquerque area. We are grateful for the support and commitment that we’ve received from Legacy Church. At this time, we are discussing the possibility of partnering together in bringing another Exodus event to the area next year. We promise to keep you updated via email regarding any announcements we may have about this future event. Second, I realize some of you were probably very anxious to receive the encouragement and equipping the Love Won Out conference provides, so Exodus is offering complimentary recordings of all the Love Won Out teachings to anyone who had pre-registered for this conference. To request a copy of these teachings, simply reply to this email or call the Exodus office at 888-264-0877. While these recorded teachings can’t replace the full experience of attending a Love Won Out Conference, we hope that you find them helpful as you seek biblical answers for a very personal and controversial issue in our culture today. Lastly, in the section below you will find several options for you to consider in regards to your registration fees. Please prayerfully consider and notify the Exodus office of your choice by Monday, May 14th. Thank you for your patience, cooperation, and understanding as we strive to wisely steward the ministry the Lord has called us to. P.S. : Please call or email the Exodus office if you have any additional concerns or questions. They have a Senior Director of Events? I’m seeing dire portends for the Junior Director of Events if this trend continues. Many many many thanks David Roberts and everyone at Ex-Gay Watch for your constant and continued monitoring of this small segment of the gay community. Many thanks! Do you know if this has happened before? * Economy: Conservative Christians just don’t value spending money to attend a conference when the info is free online. * Lack of Advertising: Conservative/anti-gay New Mexicans(ers/ians) just didn’t know about the conference.  Did Focus on the ‘Family’ stop advertising the LWO through its radio program? * Not Anti-gay Enough: Could there be a conservative/fundamentalist backlash to Exodus’s more nuanced/fuzzy position on change? * Been There Done That: Maybe LWO has exhausted its target audience and younger generations what something different. Not to my knowledge, but I can’t be absolutely certain. Certainly I don’t remember it happening in the past 7 years. I don’t think Focus has anything to do with it anymore. They have pretty much dismantled their ex-gay division and seem to have little to no interest in the subject. Since the decline has been steady, I suspect it is mostly just lack of interest, particularly from young people, and possibly a little bit of fundamentalist backlash. Ex-gay is giving way to either learning to reconcile faith and orientation or attempts at celibacy. You can only sell snake oil for so long. It’s interesting that their perference is for registrants to donate some or all of their conference fees to the organization rather than to attend an Exodus event elsewhere. Fundraising appears to be a higher priority than mission. Curious. I think this is very interesting. Love Won Out has been a conference that was primarily marketed to parents. It’s content was focused on education on homosexuality for parents and loved ones of gay kids. So, what is this saying about the shift in our culture? When parents are less motivated to attend a one day conference to help them “fix” their kids?? I think this is more telling than some other things I’ve heard about recently that our culture is more accepting of people who are gay, especially their families. This is a good sign. Exodus International has been downsizing and laying off employees for quite some time. It makes sense that they can no longer afford the lavish salaries paid to the speakers, musicians and workers as well as the costs that come with securing a convention center to host their “events.” Exodus International is losing its support and credibility every time Alan Chambers appears in the media. Looks like their staff will have to get REAL jobs. It seems to me that once Chambers’ admission was made that the concept of “real change” ended for them. And it is “real-world change” in which so many in the ultra-conservative right seem to be in need. For them a spiritual change, which is what their faith is truly about, does not in the least matter to them. They demand not which is perceived by the person but that which can only be seen. That is a lack of faith. This steady decline is not only evidence of the movement’s falling popularity, it is evidence that people are not changing their sexual orientation. How so? Consider, if Exodus were actually helping people to become heterosexual, the number of successful converts would increase year over year. Each year, some percentage of those converts would become ambassadors, living examples that the program works. Exodus began in the 1970s. By 2012, the number of ambassadors would be vast. One would imagine that the number of successful converts would be exponentially greater, as the program honed itself and became more effective with increased feedback. Then, as of the mid-1990s, the internet would have allowed these ambassadors to share their stories with the world, unfiltered through the pro-gay media. There should have been a steady growth in the movement followed by a virtual explosion as internet access became universal. Even a poorly run program that successfully converted gays would have seen at least some steady growth. But instead, not only has there been no explosive growth, there has been clear steep decline, to the point where Exodus is holding emergency meetings and cancelling conferences. And its decline is not explained by the growth of a competing ex-gay program. It is simply the marketplace rejecting a service which fails to deliver and which is unable to show that it works, even after 4 decades of trials. Well, Steven, they used to claim 100,000’s of convertees, but they never seemed to be able to fill up more than a small bus of the same old faces when challenged to produce a few. And then, there was always the jones and Yarhouse study, which managed to find only 100 participants, when they should have had thousands. John smid and AC’s admission that thera-pray away the gay for pay everyday doesn’t work was no surprise, but ’twas nice icing on the cake. We entered the big main hall to discover not hundreds, not dozens but about just 30 people huddled at the front near the stage. As the day went on it became clear that many of these were not really conference participants as such but were people involved in the administration and delivery of the day who were part of the contributing organisations. If you take them out, and the four gay people including myself who were there for research purposes, the number of actual supporters was pitifully small, probably just in the teens, a very poor turnout for such a hyped up event in the capital. Ex-gay therapist David Pickup was due to address an ex-gay conference in England last year on the theme “Speaking the Truth in Love: Responding with psychological and Scriptural integrity to those struggling with homosexual feelings and their loved ones”, after doing likewise in Northern Ireland, but the event had to be cancelled at short notice “due to the lack of people making firm bookings”.